New Orleans spitter Curren$y continues his streak of power-packed releases with another album worthy mixtape. 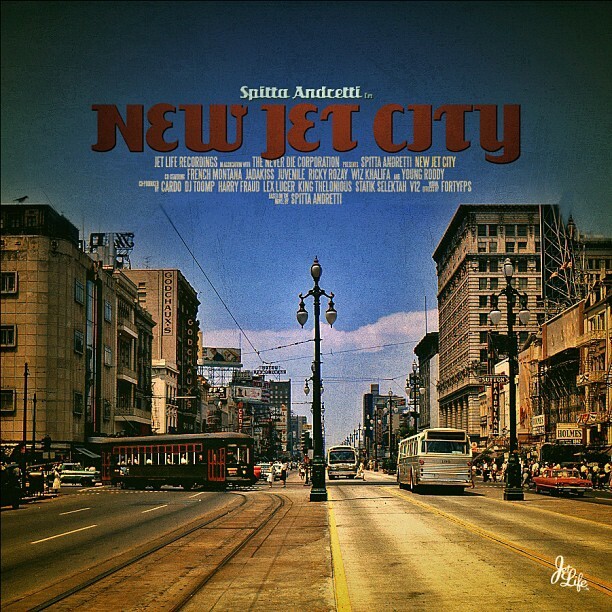 New Jet City features appearances from Wiz Khalifa, Trinidad James, Juicy J, Jadakiss, Rick Ross, French Montana, Styles P, Lloyd, Juvenile and his Jet Life cohorts Young Roddy and Trademark. Meanwhile production comes from DJ Toomp, Harry Fraud, Lex Luger, Statik Selektah and more.